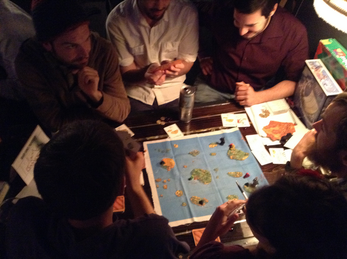 Scoundrels is a 3-6 player tabletop game, that takes anywhere from 45-120 minutes. 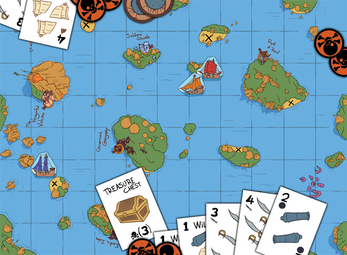 In the game, each player uses a random hand of Action cards (Swords, Sails, and Cannons) to do as many dastardly deeds as their hand allows. 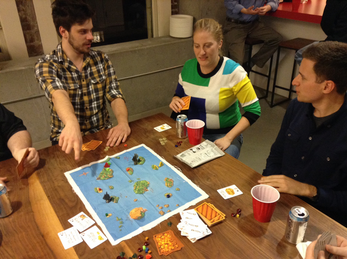 Each player moves their ship around the map, pillaging, boarding, cannoning, and burying treasure, trying to gain the most Infamy points. Infamy is measured in Tokens and Treasure cards. But players must be wary, because they only draw new cards after everyone has gone, so if they don't spare enough cards for defense, they may find themselves the unwitting victim of the next player down the line. They may even become.. the Ghost Ship. Scoundrels is a push-your-luck, thematic game not inspired by any particular mechanic, but designed to make each player feel like a pirate. It's a wild, rubber-banded game, where the lead can change constantly, and nothing is certain. For the life of a pirate is uncertain. A torrid affair, an uncertain mess, or just maybe, a glorious tale. 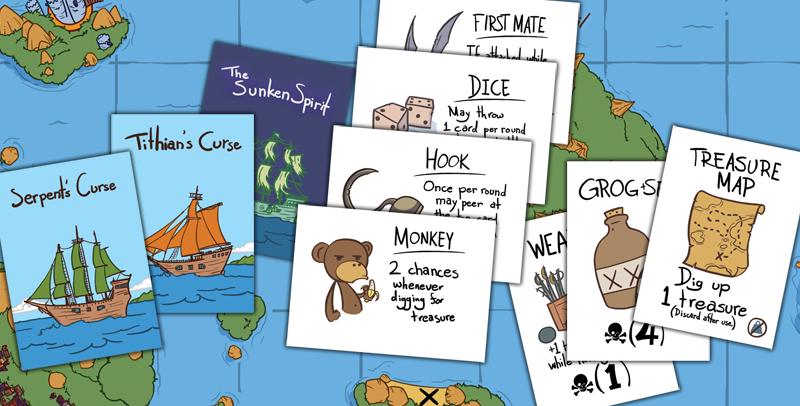 This Print-n-Play edition of the game includes the rules and several PDFs of all the cards, tokens, and the map. The art has been modified to look best from a home printer. 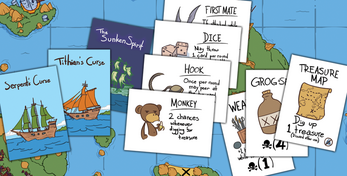 There are over 140 cards and 80 different tokens in the game to print out.